First Time Visitors to St Mary’s Class of ’71 Website…. Welcome to the Class of '71 website. For all you need to know about the website, please read this page. We hope it will answer questions on how to get a password, make a profile and how to use and enjoy the website. Haven't joined the website? It's free, easy and safe. Just click the link below and follow the instructions. You will then have full access to all of the pages on the site. 2. Find your name in the classmate list. 3. Click on your name. Once you create a Profile, you will also be able to see all Profiles of fellow classmates and interact with them. You have the option of restricting your personal Profile to only fellow Classmates, which blocks the general public and search engines from accessing your Profile details. Having a Profile also allows classmates to enjoy other Class of ’71 website content. All contact information you enter into this website will be kept confidential. It will not be shared or distributed. Your contact information is private: your address and phone number can't be seen by classmates unless you grant permission on your Profile. When someone clicks on your name, the only contact information they will see is your city and state and whatever information about yourself you choose to put on your Profile. Your email address is not visible. Email can be sent to you, by registered classmates, using the contact box at the bottom of your Profile page. Also, if you send a message to someone through their Profile page, the Classmate will not be given your e-mail address. They will need to log in to the website to read and respond to your message. In order to continue receiving e-mail from this website (for example, reunion notices), please white-list (opposite of black-list) email address; postmaster@classcreator.net. "White-list" is the general term for allowing an email to come through from a specific email address every time, regardless of the content contained within the email. White-list is also sometimes referred to as a "Safe List" or an "Approved Senders List." If you and other Classmates white-list postmaster@classcreator.net, messages that may not ordinarily get through or sent to junk will now be received and read every time. St Mary’s Class of ’71 and Class Creator system does not send spam mail of any kind. We do plan to send class reunion and reunion meeting updates. Create your individual Profile in order to access our password protected pages. As noted above, from the home page, click the Classmate Profiles link. This will take you to a page with all Classmate names including yours. If your name is not on the Classmate Profiles link, use Contact Us to notify an admin. Find your name and click on it. Click the link at the bottom of the page to join the site, and follow the prompts to create your Profile. The password that you enter during this process will be used as your login password. You can personalize your page with information such as what have you been up to since graduation in 1971, school memories, your family, and photos. Be sure you are logged in on the home page. In the links on the left side under MEMBER FUNCTIONS, click on the link: Edit/Upload Photos. The Photo page will appear and you’ll see a gray box titled: Upload New photo. Click on this box and you will be at the Add Photo page. The Add Photo page gives basic instructions for uploading your photos. There are 3 places on this page to make entries. Caption: Caption is the description you write for your picture. Browse: This is the most important one, for this is how you find the picture on your computer and get it to appear on your page. Your first picture will automatically be Sort Number 1. Now click the Browse button. A list of folders on your computer will show up. Locate the folder that holds your picture. For most classmates this will be the My Pictures folder located in the My Documents folder. When you have clicked through to your picture file, click the view button at the top to show icons as pictures. This makes it easier to find the specific picture you want to upload. Select the picture you want to upload by clicking on it once, and then click Open at the bottom of the box. Now you will be taken back to the Add Photo page and in the Upload Photo box you will see the path to your picture. Enter the Caption for your picture in the box. Click the SAVE CHANGES button. Now go to your Profile page and look for your picture and caption. Shortcut for multiple pictures: If you are uploading several pictures that are in different folders, you can copy them to your desktop, then delete them later. Make sure you COPY, not move, your pictures, so you won’t delete the original. This is my first visit to the website. How do I login? Please click on “Classmate Profiles", then click on YOUR NAME to set up a FREE member account. Provide your work or home e-mail address, select a password (which you can change at any time), and tell us about your life since our time at St Mary’s. Add family or work info, photos, etc. I forgot my login information and/or password. What should I do? You login with the e-mail address you provided during your member account set up (include domain name, such as @hotmail.com). If you have several e-mail addresses and cannot remember which one you used or if you no longer have access to that e-mail address, click on "Contact Us" and provide your new e-mail address. Your website administrator will make the change and then e-mail you a temporary password. Once you've logged in using your new e-mail address and temporary password, change your password by clicking the "Change Your Password" link under the Member Functions menu on the home page. If you remember your e-mail address but you forgot your password, click on the "Forgot password?" link right above the green "Log On" button, and the website will automatically e-mail your password to you within a few minutes. Who has access to my "Classmate Profile" and personal contact information? 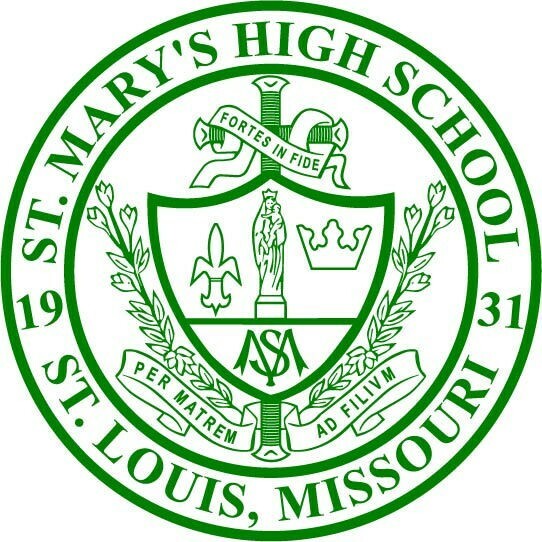 You can choose whether your "Classmate Profile" is publicly viewable on the website (e.g., by other classes, friends, and the general public) or restricted to registered St Mary’s Class of ‘71 Classmates and guests only. If restricted, search engines and the general public will be blocked from accessing your Classmate Profile page. You can also choose whether or not your mailing address and phone number are displayed; otherwise, only the City and State/Country where you live will be listed. Click on the "Edit Profile" link under the Member Functions menu in the side column, then scroll down to the bottom of the page to make your choice. Can I be notified if other Classmates update their "Classmate Profile"? YES! Click on "Classmate Profiles", then click on the name of the Classmate you'd like to keep track of. Once he/she has registered, his/her profile will be displayed. Scroll down to the bottom of his/her profile page, click on the box that says "Notify me whenever [Classmate's] profile is updated", and click on the "Notify Me" button. You will be notified by e-mail. You can also subscribe to multiple classmates by using the "Profile Subscriptions" link. Does the public or other Classmates have access to my e-mail address? No. To protect your privacy, your work or home e-mail address is stored only within the website, so Classmates can send you a Message. You can decide who you want to provide your own e-mail address to. To check if you've received any new messages, click on the "Check Messages" under the Member Functions menu in the side column. What are examples of the e-mails that I may be sent? You will be e-mailed information about new website features; details about upcoming class reunions and reunion meetings. Can I post my own photos or videos on the website? You can upload current photos of yourself, your family, pets, vacations, old photos from days gone by, past reunions, etc. -- anything you want to share -- by clicking on "Edit/Upload Photos" under the Member Functions menu on the left. There is no limit on the number of digital photos that you can store on your "Classmate Profile" page. Each photo is automatically resized to fit on your Profile page. You can also upload your own videos that you've posted to YouTube.com by clicking on the "Classmate Profiles" link, then following the instructions. You can add, delete, or replace your own photos or videos at any time. How does the "Message Forum" work? Click on "User Forums" above and you can chat with our fellow classmates when they login and read the "User Forums". Post a response to a prior message or start your own topic of conversation by asking a question, re-living an old memory, or share your thoughts on life. This is a family website so please use good judgment when posting. Does Class Creator or St Mary's Class of '71 rent, sell, or in any way profit from having our Classmates' names, addresses, and personal information? How does it make its money? No. We do not rent or sell any Classmate information or engage in any marketing or solicitation to Classmates. All personal contact information is held strictly confidential. Class Creator does not sell advertising on the website or display banner ads or pop-up windows. Our website is owned and controlled by St Mary’s Class of ‘71 Reunion Committee--not by Class Creator. This site was originally created for the purpose of connecting with classmates in order to have a reunion. Since the site allows classmates to connect with one another thereby re-establishing old friendships, it has been decided that the site should serve a dual purpose. Not only does the site help give reunion information but it is for anyone in the Class of ‘71 who just wants to reconnect even if they cannot attend the reunion. Can I join the site even if I don't plan attend the reunion? Even if you do not plan to attend the reunion, it is hoped that there are old friends on this site that you would like to reconnect to and for that purpose you can still join the site. Can I volunteer to help with the reunion? Yes. From the beginning, reunion planning has been open to all classmates wishing to lend a hand. We hope to have monthly meetings which will be announced by email through this site. These meeting are a lot of fun! Please join us if you can. As reunion time gets closer, more volunteers will be needed to make sure that the reunion is a success. If you click "Remember Me" when you log in, you will not need to log in next time you go to the site. Note there is a password retrieval feature to click on: "Forgot Password?" in case you need to log in sometime and can't remember your password; the password will be sent to your email inbox. You can login from computers other than your home computer but you will need to enter your password. If you cannot find your name on the Classmate Profiles page, please contact us to have your name added. We welcome Classmates who went to school with us but did not graduate with us. If you feel more associated with this class than your own, we can provide you with a guest account. Classmate family, souse, sibs, kids etc. may also become guest members of our site. Contact us if you wish to obtain guest access for this site. If you change your email address, US mail address, or phone number, please update those in your Profile so we have your correct information at all times. Always check back with the Home Page, where main information and announcements are made. From anywhere on the website, click the dragon-logo at the bottom to return to the home page. Most of all enjoy and have fun with the St Mary's Class of '71 website! This website is maintained by the Class of ’71 reunion committee. It is completely free to classmates and guests. You will never be required to pay in order to make (or keep) a profile or to be able to access other alumni profiles. If you would like to donate to help us maintain this site, click the donate button on the home page.